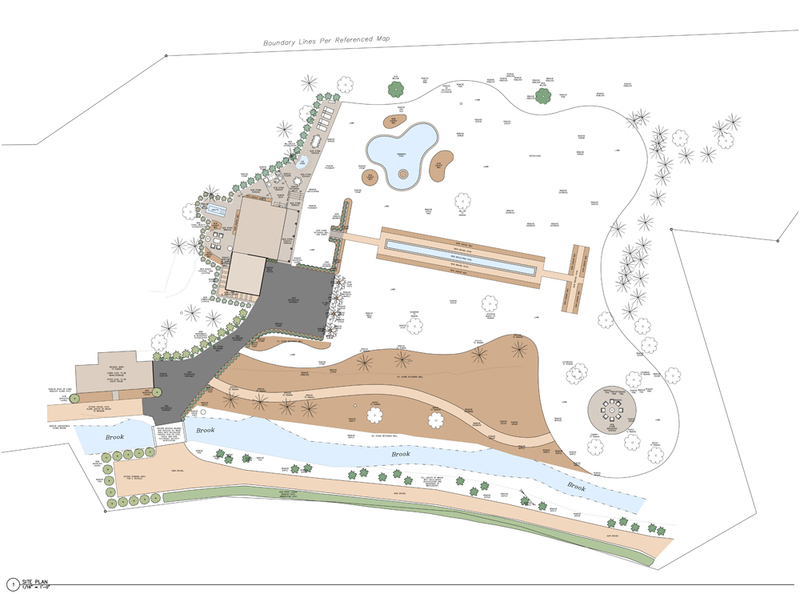 John R. Schroeder, AIA worked closely with this client to help them envision the future potential of their property through a master plan process. The house and surrounding landscape have immense potential and the goal was to identify this potential and ensure that the different phases of work fully support subsequent phases. The property offers an amazing variety of elevation changes, land forms, outbuildings and bridges, stone retaining walls, pathways, running water, and general flora and fauna. The first step was to sit down with the client to develop a grand wish list. The next step was for John’s firm to carefully and thoroughly document their house inside and out. We also hired a surveyor to document property lines, topography, landscape features, and other misc. site features. The end result was a wonderful master plan suggesting a multitude of opportunities for inspiration, relaxation, appreciation, recreation, and functional fulfillment.